Tokyo, Kamakura, Matsumoto, Takayama, Kyoto, Nara, and more! We'll marvel at several UNESCO World Heritage sites in this program: the historic monuments of ancient Kyoto (which are many!) as well as those in ancient Nara. 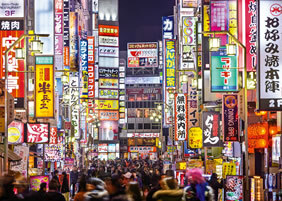 Tokyo is Japan's absolutely buzzing capital city and the most densely populated area on the planet. It certainly is a phenomenon unto itself, and we'll experience a diversity of sights in the city — from the historical Asakusa district to important religious sights such as the most important Shinto shrine with Japan's two largest torii (the traditional entry gate of a shrine). More contemporary attractions will also be explored. Kamakura makes for a lovely day trip outside of Tokyo. It's a seaside city surrounded on three sides by mountains, and its most iconic sight is the 37-foot-high bronze statue of the compassionate Amida Buddha. Completed in the mid 13th century it's said to have been commissioned by Japan's first shogun. Also in Kamakura is the largest carved-wood statue in Japan: the 11-faced, 30-foot-high Kannon in a temple that faces the sea. In downtown Kamakura we'll have an opportunity to check out shops selling local crafts, especially carved and lacquered woodwork. A gorgeous ride brings us up into the "Japan Alps" to Takayama. This small city's rustic charms are the result of hundreds of years of peaceful isolation in the Hida Mountains. Shops and restaurants mingle with museums, inns, sake breweries, and markets along rows of traditional wood-lattice buildings and tiny canals of running water, all immersed amidst the fresh mountain air and gorgeous scenery of 10,000-foot mountain peaks. 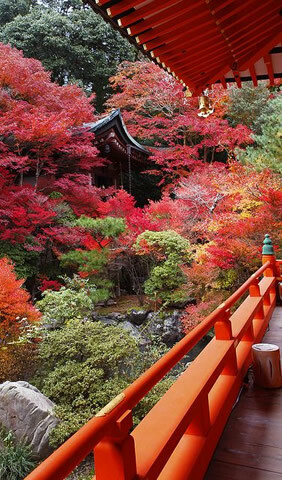 There is simply nowhere more special in Japan than Kyoto. 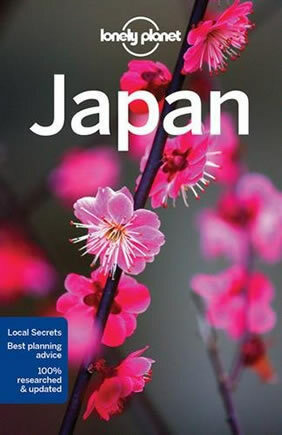 It is the epicenter of Japanese culture and history, and it's home to everything that you might associate with traditional Japan: vermillion temples, mysterious geisha, the sacred tea ceremony, Zen rock gardens, imperial palaces, sumptuous cuisine, glittering kimonos, bamboo groves, street-corner shrines, ancient festivals and much more. We've included a mix of high-end, well-located hotels with two nights in a deluxe Japanese ryokan (an inn with hot springs and the traditional sleeping arrangement of futons on tatami mats). Most meals are included in the program. This program is subject to change. While the broad stroke of the itinerary will not be altered, we reserve the right to revise some of the specific sights visited at each destination. With your own air arrangements you'll arrive at one of the Tokyo airports (Narita or Haneda) and then make your way to our group hotel in the city center. There are numerous options for getting into the city – with a very wide range of costs for these services – so we have not included the cost of a private transfer in the tour price. Please see "Arrival & Departure Logistics" for information regarding transfer options and costs. We'll come together in the early evening and enjoy a welcome drink, get to know our fellow travelers, and have a trip briefing before heading out for our welcome dinner. Please Note: If you would like us to arrange any pre-tour nights at the group hotel in Tokyo, please let us know. 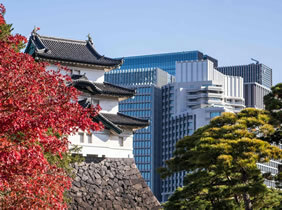 The permanent residence of Japan's emperor and imperial family, the Imperial Palace occupies pride of place in the symbolic center of the nation. The palace itself is usually closed to the public, but its beautiful and extensive garden, including the landmark doublebarreled bridge, offers respite from the city bustle and is worthy of a visit. Tokyo's grandest and most famous Shinto shrine, Meiji-jingu, is dedicated to the Emperor Meiji who reigned in the late 19th and early 20th centuries. Several towering wooden torii along a wooded gravel path lead to the shrine. 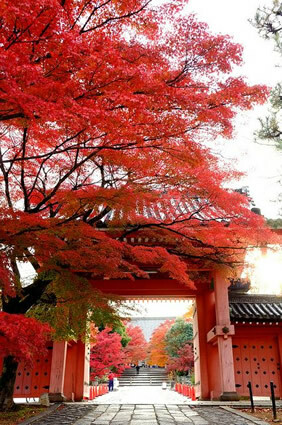 (Torii are gateways to Shinto shrines.) The largest, created from 1700-year-old cypress, stands 40 feet high with 56-foot crosspieces. Before approaching the main shrine we purify ourselves by pouring water over our hands at the font. The 250 acres of forested grounds surrounding the shrine contain some 120,000 trees collected from all over Japan. We soak in some of the architectural wonders and eyebrow-raising consumerism along Omotesando, once the official road leading to Meiji-jingu shrine, and now adorned with luxury brand boutiques. Even if Louis Vuitton, Prada, and Dior don't particularly interest you this stretch is like a walkthrough showroom for the who's who of contemporary Japanese architects, including Ando Tadao and Ito Toyo. The traditional heart of Edo (Tokyo's historical name), Asakusa is home to the great Senso-ji temple as well as traditional crafts and food shops. Life in this area is almost slow-paced and uncomplicated compared to the rest of the city. We pass through Kaminarimon (Thunder Gate), the magnificent entrance to the shopping arcade that leads up to the temple. Founded over 1,000 years before Tokyo got its start, Senso-ji is the capital's oldest temple. It stands out for its oldworld atmosphere. Indeed, several structures of the temple complex survived the bombings of 1945. The district around the temple teems with bun and cracker shops, many of which make their goodies onsite, as well as souvenir stalls. Dinner this evening is open, and there's no shortage of good restaurants in Tokyo to choose from! Kamakura makes for a lovely day trip outside of Tokyo. It's a seaside city surrounded on three sides by mountains. Its glory days were as the country's first feudal capital in the 13th and 14th centuries and coincided with the spread of Zen Buddhism so many of the temples here belong to the Zen sect. Kamakura's most iconic sight is the 37-foot-high bronze statue of the compassionate Amida Buddha. Completed in the mid 13th century it's said to have been commissioned by Japan's first shogun. Once housed in a huge hall and covered in gold leaf the statue sits nowadays in the open. In downtown Kamakura we'll have an opportunity to check out shops selling local crafts, especially carved and lacquered woodwork. Hase-dera is one of the most popular temples in the region. The main attraction here is the largest carved-wood statue in Japan, the 11-faced, 30-foot-high Kannon. Kannon is the goddess of mercy and is one of Japan's most popular Buddhist deities. According to legend the statue washed up on the shore in the 8th century. While certainly one of the most beautiful pilgrimage spots in the city, it's also a sad one. Jizo is the savior of children, particularly the souls of the stillborn, aborted, and miscarried. Mothers of these children dress the statues of Jizo on the grounds in red bibs and leave them small offerings of food as touching acts of prayer. After our return to Tokyo we have another free evening for dinner. Today we leave Tokyo and will travel in our own comfortable coach up into the Japan Alps. Along the way we stop for lunch in Matsumoto and then have a tour of the famous Matsumoto Castle. It dates from 1504 when Japan was in the throes of civil wars and is a fine specimen of a feudal castle. Its keep is the oldest surviving tower in the country. Surrounded by a moat with ducks and swans, lined with willow and cherry trees, and having the backdrop of the Japan Alps, this is certainly a picturesque as well as historical site. Our eventual destination is the mountain town of Takayama. This city's rustic charms are the result of hundreds of years of peaceful isolation in the Hida Mountains. Shops and restaurants mingle with museums, inns, sake breweries, and markets along rows of traditional wood-lattice buildings and tiny canals of running water, all immersed amidst the fresh mountain air and gorgeous scenery of 10,000-foot mountain peaks. Upon arriving in Takayama we'll settle into our Japanese ryokan - a traditional inn. You may wish to enjoy the hot baths at our ryokan before dinner, which is served "in house" and is a true feast – a hallmark of ryokans. Our walking tour of Takayama will take us through some of the town center's characteristic streets. Note: A peculiar-looking ball of cedar leaves suspended outside a storefront indicates a drinking establishment or sake brewery! We'll visit the Float Exhibition Hall – a community center displaying some of the centuries-old floats used in the town's very famous spring and fall festivals. The floats are remarkable for their delicately etched wooden panels, carved wooden lion-head masks, elaborate tapestries, and puppets. 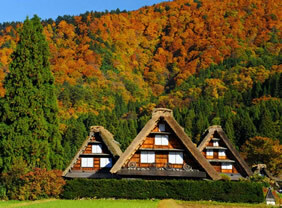 Also today we'll visit Hida no Sato – an open-air museum of traditional farm houses dating from the Edo era, many of which were transplanted from all over the region, and now illustrate how farmers and artisans used to live in the Hida Mountain range. Many of the structures are A-frame gassho-zukuri ("praying hand") houses that have sloping, gable roofs made of reed thatching three feet thick and set at a steep angle to prevent the snow from piling up. Some display folk artifacts like tableware and weaving tools; others are workshops with demonstrations of wood carving, tie-dying, and lacquering. Some of the artisans even live here. We'll return to Takayama with some free time for independent exploration of the town, and dinner this evening is open so that you can explore some of the dining options in Takayama. Don't forget to make use of the onsen (hot baths) at the ryokan! Today we leave the Japan Alps and head south to amazing, ancient Kyoto. Lunch will be en route and we'll have a mid-afternoon arrival in Kyoto. After checking in to our stylish and deluxe hotel you'll have time to relax before we reconvene for our first of several meals in this captivating, historic city. The number of temples in Kyoto is staggering, so we'll just touch on a few during our time here. Included among them is the obligatory Kinkakuji (or "Golden Pavilion"), which is hugely visited but one of those "must-sees" nonetheless. Set amidst luxuriant greenery the gold-plated main hall is perhaps the most impressive sight in all of Kyoto, rising above a reflecting pond like a mirage. 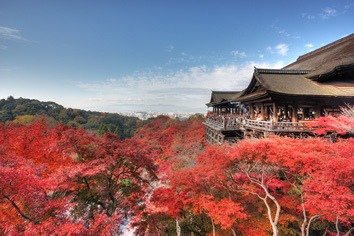 With a commanding position overlooking Kyoto, the Kiyomizu-dera temple is the city's spiritual heart and soul, drawing pilgrims since the 8th century AD. The main hall here features a huge veranda that juts out over the hillside, providing a breathtaking view of the city, and is supported by 139 65-foot wooden piles. The sheer number of Buddhist images in the Sanjusangen-do temple makes it a visually arresting sight. The temple's name refers to the 33 bays between the pillars of this long, narrow building, which houses 1,001 wooden statues of Kannon (the goddess of mercy) each with a slightly different expression and carved by the best artists of the 13th century. Ryoanji is well known for its rock garden and is one of the symbols of Kyoto and one of Japan's betterknown sights. An austere collection of 15 carefully placed rocks, apparently adrift in a sea of finely raked sand, is enclosed by an earthen wall. It reveals the simplicity and harmony of the principles of Zen meditation. It also poses a roan, or riddle: Why can you see all but one of the rocks from any vantage point? We will also visit Kyoto's traditional weavers' district, Nishijin, the source of all the dazzling kimono fabrics that you'll see being paraded about town. We stop in at a textile center where there are displays of completed fabrics and kimono as well as weaving demonstrations. Dinner is on your own this evening, and Kyoto has no shortage of excellent restaurants. The Nijo-jo is the shogun castle that stands out as a grand monument to the power of the warlords who effectively ruled Japan for centuries. It was here that the last shogun, after 15 generations, finally surrendered power to the newly restored Emperor in the middle of the 19th century. In the castle "nightingale floors" with squeaking boards called out intruders. The expansive gardens are perfect for a stroll and were designed in the 17th century by Japan's most celebrated garden designer. 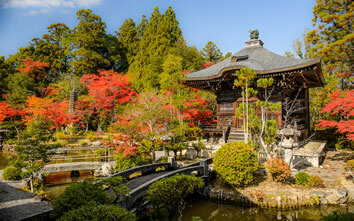 Just 45 minutes or so out of Kyoto is Nara, Japan's first permanent capital in the 8th century. Buddhism took root here and flourished. 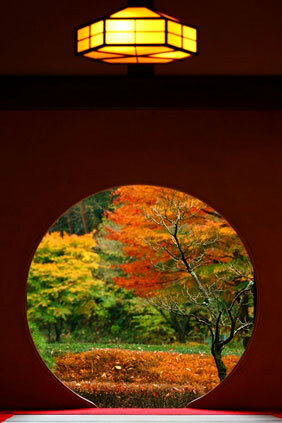 Nara is a cradle of Japanese tradition and possesses some of the finest artistic treasures and oldest buildings in the country, including eight UNESCO World Heritage sites. Nara's most important shrine is Kasuga Taisha, founded in the 8th century and completely rebuilt every 20 years, according to Shinto tradition, until the end of the 19th century. It lies at the foot of two sacred mountains on the edge of a picturesque and well-preserved forest. It's famous for its 3,000 lanterns, which line the main avenue to the entrance and hang in the corridors. By far Nara's grandest sight is the Todai-ji temple, where two guardians at the gate carved in the 13th century are some of the finest wooden statues in Japan if not the world. Todai-ji's main hall is the largest wooden building in the world, and the Great Buddha contained within is the largest bronze Buddha in the world, originally cast in 746. Created in the 19th century, the vast lawns of Nara Park are interspersed with ponds and wooded groves. Some 1,200 deer, venerated since ancient times as messengers of the Shinto gods, roam freely through the park and surrounding mountains and are considered national natural treasures. We return to Kyoto, and dinner is open again this evening. On our last day full day we'll explore Kyoto's Nishiki covered market, the "belly of Kyoto." There's something strangely enjoyable about roaming a food market where so many of the items on display are completely baffling. This spot oozes "old Japan" atmosphere and is where high-end restaurateurs and wealthy individuals do their food shopping. Also here are shops with good-quality cutlery and crockery. One place turns out exquisite kitchen knives where you can pick one out and watch a craftsman put a final edge on it with a giant round sharpening stone. In a country with so many visually arresting images we have yet another to cap off our tour. The Fushimi-Inari-Taisha shrine has hypnotic arcades of thousands of vermillion-lacquered torii lining paths that crisscross a thickly wooded mountain. It's a mesmerizing sight – a vast shrine complex that is a world unto its own. Kyoto is home to some three dozen sake producers, and we'll visit one housed in a Meiji-era brewery that exhibits a collection of artifacts and memorabilia pertaining to sake production. We'll get to sample some and, of course, have a chance to purchase some of the local brew. Lunch will be on your own today, and then you're free to spend a final afternoon as you wish – some final shopping endeavors or perhaps visiting one or two of the plethora of other sights in the city. We'll reconvene for our farewell dinner this evening. 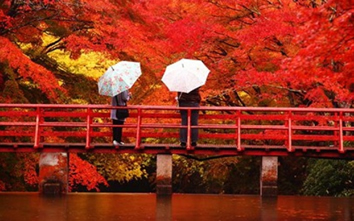 You will have captured many wonderful moments in Japan to bring back with you! • Delicious meals and lovely accommodations — of course! • Expenses of a personal nature (laundry, phone calls, room service, etc.). • Pre-trip expenses such as travel insurance, passports, etc. The following are the accommodations that we plan to use for the tour at the time of publishing this itinerary. We reserve the right to make changes to the accommodations. Conveniently located amidst the skyscrapers of the bustling Shinjuku district with its abundance of restaurants, shopping, and bars, our selected deluxe hotel offers tasteful rooms between the 22nd and 35th floors, all boasting great views of the Tokyo cityscape. The hotel's lounge bar is off the lobby on the 20th floor, and three restaurants are located on site (Japanese, Western, and Chinese). There's free wifi as well as TVs in the rooms with keyboards for internet access. All of the hotel's rooms will have been recently renovated by the time our tour operates. The hotel is just a short walk from Shinjuku station, making it super convenient to reach, including from the Narita Airport Express train. 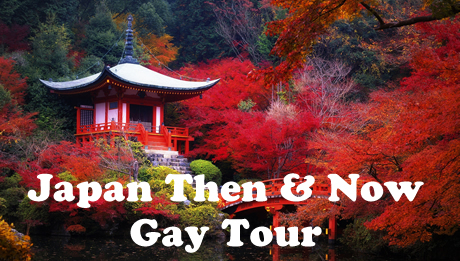 Shinjuku is also where most of Tokyo's gay bars are located, so if you fancy experiencing some gay nightlife, this is the place for it! NOTE: The Airport Limousine buses from both Narita and Haneda airports stop at this hotel. We have selected a delightful ryokan (traditional Japanese inn) combining country charm with modern amenities. It's situated by the Miya River that runs through the center of Takayama. Guest rooms have low lacquered tables, tatami floor mats, and shoji screens. Keeping with Japanese tradition, guest rooms have futons on the tatami mats rather than beds, but a Western-style room option is also available at an extra cost. The futons are laid out by the staff in the evening on the tatami mats. The bathrooms in the guest rooms are small and provide handheld showers with a stool in a small sitting tub. However, there are also onsen (hot spring baths) on the property, with separate men's and women's baths, where some of our travelers choose to bathe and then soak in the hot springs. The dining room where we have dinner in the ryokan serves multicourse feasts using the freshest of seasonal ingredients such as the mountain vegetables grown in Hida to fresh seafood straight from the Sea of Japan. Service is of the highest quality, and this is an upscale ryokan. With a commanding position overlooking the city our selected luxury hotel is ideally located between the northern and southern Higashiyama sightseeing districts. One of the oldest Western-style hotels in Kyoto, it has long played host to visiting royalty, rock stars and glitterati. It's not hard to understand its appeal: not only can you walk out the door and be in some of the city's most important sightseeing districts in a matter of minutes, it's also located almost directly over a subway station, making getting downtown a breeze. The three distinct gardens of the hotel are beautiful and were designed by renowned landscape architects. There's even a bird sanctuary, and an added bonus is the walking/jogging path just nearby that passes some of Kyoto's prettiest sights – natural and man-made. Other nice touches are the indoor pool, gym, several restaurants, bar, concierge service, and wifi. Osaka Kansai = KIX; Osaka Itami = ITM. Because of the range of options for getting into Tokyo at the beginning of the tour as well as from Kyoto to the Osaka airports at the end of the tour – and the very wide variation in costs for these services - we have not included private airport transfers in the tour cost. Trains – About $30 per person. The Narita Express runs about every 30 minutes and stops at the Shinjuku train station, which is a short walk to the hotel. Before boarding the train a specific seat must be reserved when buying the ticket. Travel time is about 90 minutes. Airport Limousine Bus - about $30 per person. There are six departures a day to the group hotel. You'll need to ensure that your flight arrival time coincides with one of the bus departures from Narita. The Airport Limousine Bus also operates another route that runs every 15-20 minutes and stops at the Shinjuku train station, which is a short walk to the hotel. Travel time about 90-120 minutes depending on traffic. Private "meet & greet" service in airport and then private transfer – about $355 for 1-2 persons. Airport Bus – about $30 per person, 90 minutes. Departs from Kyoto Station. Train – about $40 per person, 80 minutes. Departs from Kyoto Station. Shared van service – about $40 per person, 90 minutes. Pick-up from hotel. Private transfer – about $290 for 1-2 persons. In Tokyo and Kyoto during the time period of our trip, recent years' historical temperatures in October show an average high of about 68-72 F and an average low of about 55-59 F. For Takayama the average daytime high is about 59 F and the average overnight low is about 38 F.
October sees, on average, about 4 inches of rain for the month. Our costs to operate this tour are tied directly and entirely to the exchange rate between the Japanese Yen and the U.S. Dollar. Over the past several years the value of the dollar has fluctuated in quite a volatile manner against the Yen. We reserve the right to alter the trip pricing indicated here should there be a significant fluctuation in the exchange rate from the time this tour is published. Please read the Terms & Conditions that accompany the Trip Enrollment Form. Costs are based on double occupancy of a room. If you are traveling solo and wish to have your own room throughout the tour then the single supplement will apply. If you are traveling solo and wish to share a room, we will match you with a roommate if one is available. Should there be no one to pair you with, the single supplement fee will apply. There are certain fixed costs involved with operating a trip of this nature regardless of the number of participants who have signed up. With a smaller number of group members, the fixed costs (per person) are higher. In order to cover those fixed costs for a smallersized group, we prefer to charge a bit extra in order to ensure that the trip can run rather than have to cancel a trip due to a low number of sign-ups. While as accurate as possible at the time of publishing, this itinerary should be considered a close indication of the schedule and scope of activities, trip routing, and meals, rather than an inflexible schedule of events. It is subject to change. We also reserve the right to maintain flexibility in order to take advantage of unforeseen opportunities. This trip is subject to the Limitation of Liability and all the Terms and Conditions as detailed in the Trip Enrollment Form. A small group surcharge of $300 per person will be added to a group size less than 12 travelers.